When Mim's closed in 2014, Syosset locals saw this as pretty devastating news. The George Martin Group saw an opportunity though, and added a great restaurant that enhanced the neighborhood even more than before the change with George Martin's Grillfire. After a few years of holding down that space, and a never-ending strive to improve their greatness, the GM group opened George Martin 1989. With the latest customization, the area can now relish in the benefits of an American-style bistro, but with a steakhouse-inspired menu that fires on all cylinders. Although it's highly recommended to be sure you've got enough stomach space for a big, juicy steak, we all know that appetizers are a must. 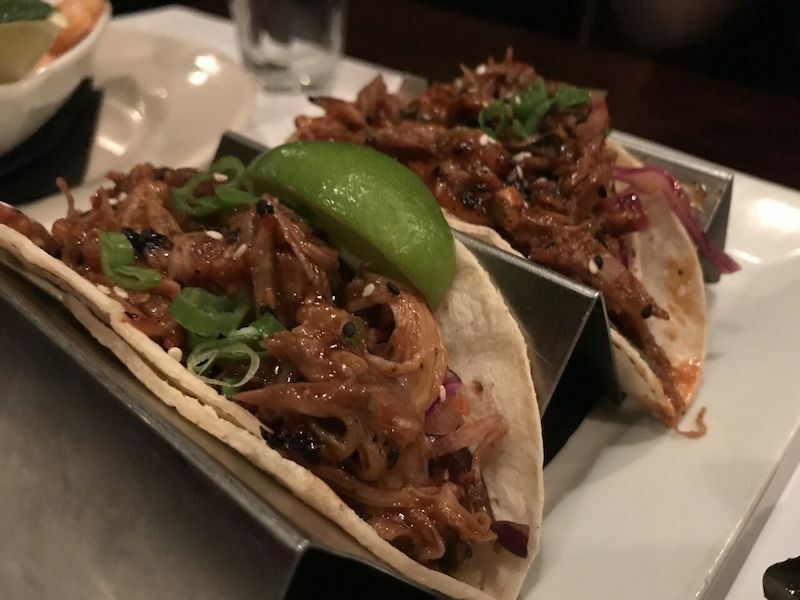 The Korean BBQ Duck Tacos might just be the best thing on the menu. The offering comes with 2 tacos served on corn tortillas. The pulled duck is slow-roasted and packed with an abundance of flavor. With a heaping quantity of duck, each taco is topped off with kimchi slaw, cilantro, and a lime for good measure. Next order of business is to tackle the steak portion of the entree menu. 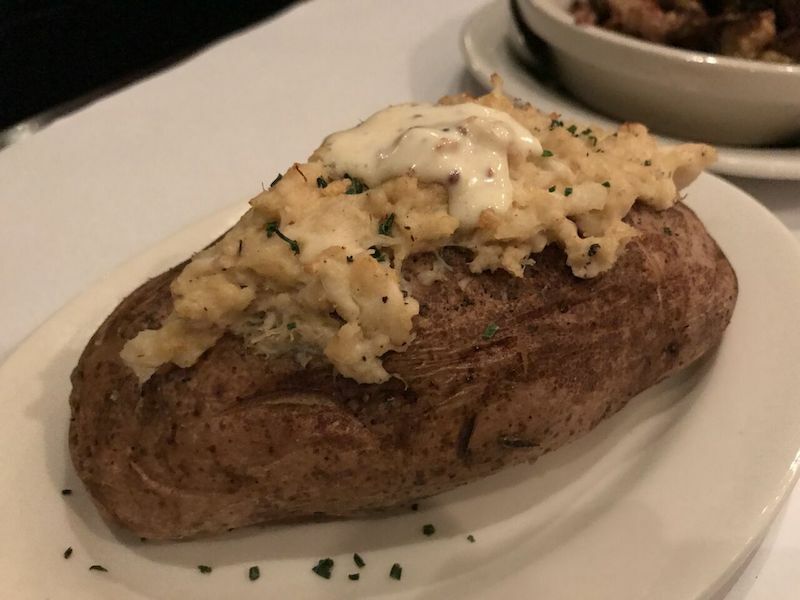 While the restaurant's signature steak is the George Martin Club Steak, which is a 20-ounce, dry-aged, bone-in certified Angus beef NY strip (say that 5x fast), any of the steaks on the menu will more than likely exceed expectations. If you're looking for a leaner cut, go with the filet mignon. 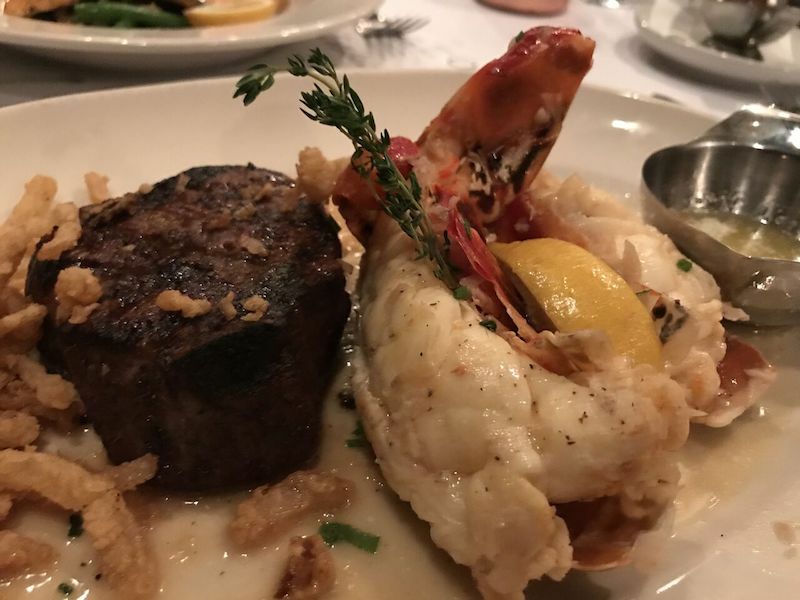 If you're a surf & turf fan, you can get the filet with an 8-ounce lobster tail for a relatively affordable price. Another favorite of ours is the Espresso Rubbed Flat Iron Steak - a 10-ounce cut, served with a side of horseradish cream sauce. One of the tastier offerings you can get! To round things off, finish strong with one of George Martin's signature dishes found on all their menus - the GM Brownie Sundae. 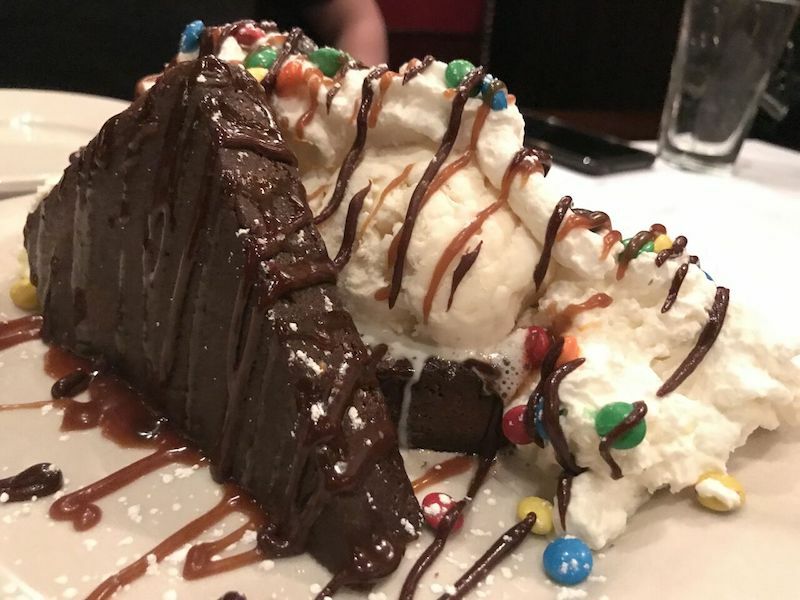 This massive serving of warm chocolate brownie is topped with vanilla ice cream, chocolate ganache, caramel, fresh whipped cream, and M&Ms. From start to finish, George Martin 1989 will leave you satisfied and full. 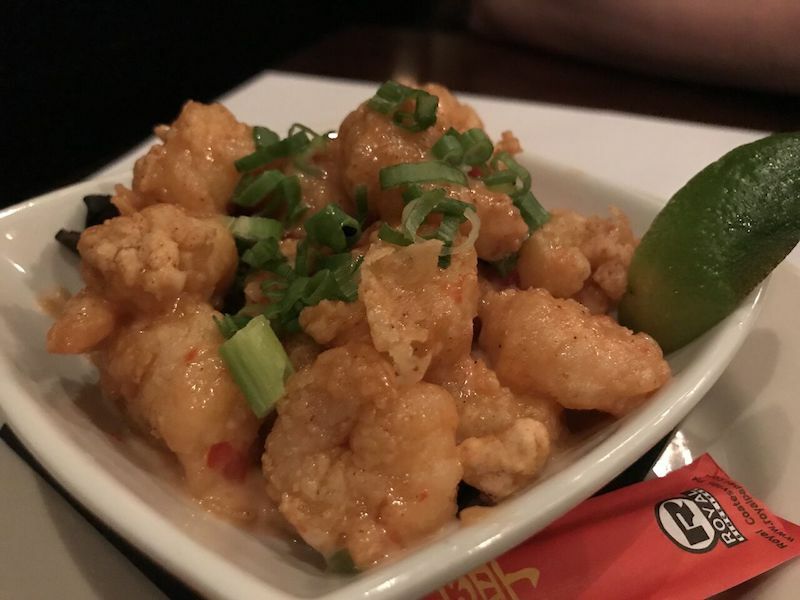 Whether you choose to come for lunch or dinner, you're bound to have a great experience.